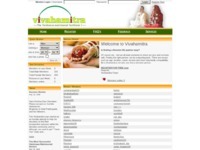 Vivahamitra is the Vaishnava Matrimonial Facilitator. It is Free and The most successful ISKCON Matrimonial Service. Category Grihastha corner May 9, 2012 by ISKCON Desire Tree.